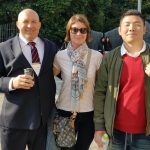 Living in Japan is an experience that is hard to appreciate until you have done it for yourself. It’s difficult to explain to people back home just some of the crazy, bizarre, exciting and fantastic things this country has to offer. There is so much going on over here that everywhere you go there is something new or different to experience. 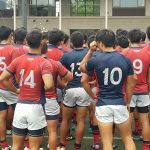 I am heading into my fourth season of rugby in Japan so I thought I would share with you some of the things that I have come to love about this country. 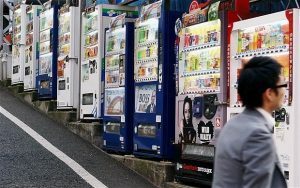 Japan has the most vending machines per capita in the world, somewhere around one machine for every 23 people. This is both crazy and convenient, with machines being stocked with cold drinks in the summer and warm drinks in the winter. Have you ever found yourself in the middle of a bush walk and thought “I wish there were a nice cold coke around the corner”? Well someone has, because in Japan that’s exactly what you get as you near the top of Mount Fuji. Who the lucky person is that has to stock the machine is another matter altogether. Vending machines are on nearly every corner block, down alley ways, at parks, in front of shops and residential areas. 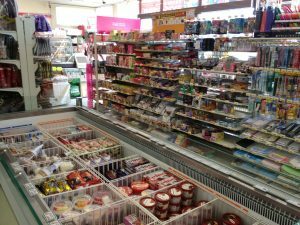 They also stock anything from food, drinks, toys and even cigarettes. The public transport system over here is so reliable and convenient that there is no need for me to own a car. I’m able to get around easily enough relying on buses, trains and even a good ol’ push bike. Travelling to Tokyo central city from my local stop, there is a train departing every ten minutes and you can bet your bottom dollar it is running on time. 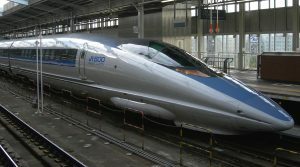 If you are travelling further within Japan, there are bullet trains called Shinkansen. These bullet trains have maximum operating speeds of 320 km/h and you can almost guarantee they also run spot on to the timetable. 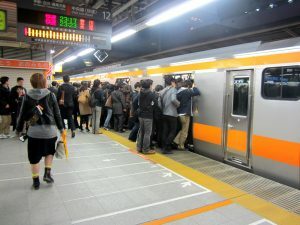 The only thing to be aware of if travelling on trains in Japan in peak hour is that you will need to be prepared to be jammed in by a professional ‘pusher’! The corner dairy back home just doesn’t cut the mustard after a few years of going to the convenient local store in Japan. When ever I ask Japanese “where can I get this or do that?” the answer is often “Konbini.” You can pay your bills (TV, internet, power, gas etc. ), buy fresh meals, get most of your groceries, purchase concert tickets, pick up online orders and also buy alcohol. 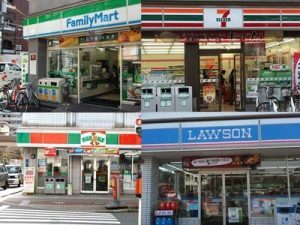 In the city, Konbini’s are basically on every corner and in the countryside, you don’t have to travel too far to find one. Toilets and technology = genius! 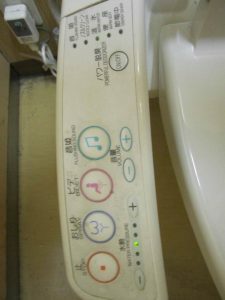 Toilet talk is usually frowned upon in general conversation; however you can’t avoid loving some good Japanese toilet chat. In winter, you don’t have to fear the chilly feeling of a cold toilet seat as most of them are HEATED by a flick of the switch! If you are worried that people will hear the effects of last nights curry, why not play some music simply by pressing a button on the side? If your toilet paper just isn’t cutting it, you can use the water spray option followed by a quick blow dry. 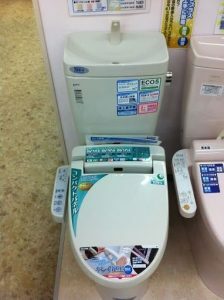 You can even wash your hands at the back of the toilet to save water waste (below). I could go on forever about the many different and amazing foods in Japan. Ramen, Sushi, Udon, Soba, Yakiniku, Yakitori, Kare, Karage, Okonomiyaki.. the list goes on. My favourite food here is Japan would have to be Ramen; a wheat noodle soup usually in a meat or fish-based broth. 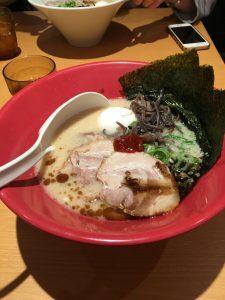 Ramen can be found all over Japan and has various styles (with Tonkotsu being my favourite). Although it is considered to be fast food, it takes chefs around 12 hours to make and the depth of flavour that is packed into the one bowl is incredible. If you’re ever here in Japan, put ramen near the top of your to-do list and go more than once as if just continues to grow on you. 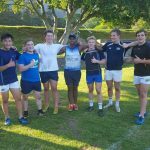 Awesome read. 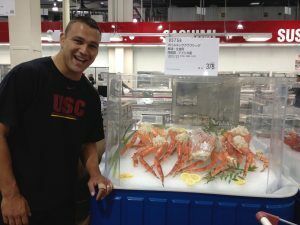 Can’t wait to read the next blog, the food sounds amazing ?.